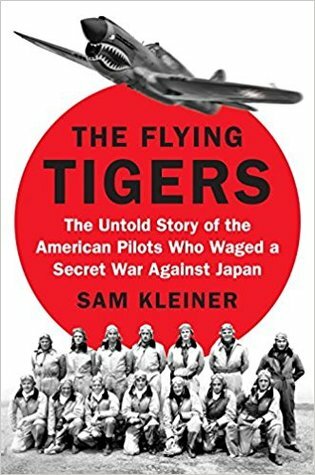 Sam Kleiner’s The Flying Tigers uncovers the hidden story of the group of young American men and women who crossed the Pacific before Pearl Harbor to risk their lives defending China. Led by legendary army pilot Claire Chennault, these men left behind an America still at peace in the summer of 1941 using false identities to travel across the Pacific to a run-down airbase in the jungles of Burma. In the wake of the disaster at Pearl Harbor this motley crew was the first group of Americans to take on the Japanese in combat, shooting down hundreds of Japanese aircraft in the skies over Burma, Thailand, and China. At a time when the Allies were being defeated across the globe, the Flying Tigers’ exploits gave hope to Americans and Chinese alike.